Thought Field Therapy® (TFT) Tapping Provides the Code to Nature’s Healing System… Celebrating Over 30 Years of Success in Tapping Therapy. 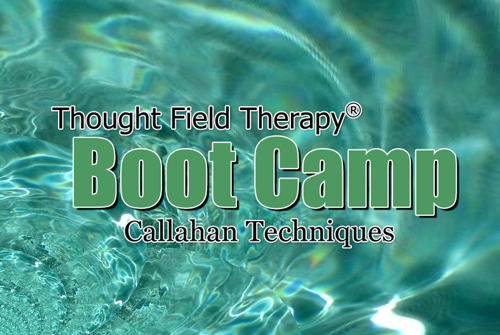 The Thought Field Therapy directory provides a guide to all of the Callahan Techniques certified practitioners of TFT around the world. It represents the various levels of TFT proficiency, and is maintained by Callahan Techniques. If you are a certified practitioner, you can add yourself to the directory. There are 4 packages to choose from, including a free listing. Each package add additional features to your listing, helping you to promote yourself to our directory visitors. All packages are good for 1 year. If you’d like to be trained as a TFT Practitioner, click here fof the TFT Training Schedule. We have trainings around the world. If you can’t enjoy their life because of irrational fears, negative feelings you just can’t escape, or feel overwhelmed by stress and anxiety, Thought Field Therapy® can help you! TFT is a highly specialized technique that brings almost instantaneous relief from all types of stress and anxiety issues. Whatever your quest – – freedom from negative emotions, stress, anxiety or self-sabotage, or maximizing your potential for personal achievement – – you will be surprised at how quickly you start experiencing the positive benefits you’ll derive from working with your Thought Field Therapy® practitioner. The best part is the almost immediate relief you’ll experience. The effect of TFT treatment is virtually instantaneous and happens without years of expensive therapy visits or drugs that simply mask the problem. Algorithm Practitioner (TFTalg): At this entry-level, trainees are taught the basic skills needed to treat trauma, addictive urges, anger, anxiety, phobias, panic attacks, obsession (OCD), depression, grief, rage, shame, guilt, etc., and the resolution of barriers to successful treatment. More often than not, Algorithm practitioners incorporate TFT as a “toolbox” item within their existing therapy provision, e.g. counseling, hypnotherapy, life coaching, etc. Diagnostic Practitioner (TFTdx): At this higher level, practitioners have been trained in the unique TFT Causal Diagnostic Procedures which allows them to offer individualized treatment for almost all psychological and some physical problems. Only those who have undergone additional training under the direct supervision of Dr. Roger Callahan are approved to train others in the practice of TFT Algorithms. Voice Technology™ (TFT-VT) or Advanced Practitioner (TFTadv): At the highest level of TFT training, VT™ practitioners have undergone a unique one-to-one training program under the direct supervision of Dr. Roger Callahan himself. Advanced Practitioners have studied the TFT “Optimal Health” program which offers more generalized training to a similar level. Both use an advanced causal diagnostic procedure to provide individualized treatment for almost all psychological and some physical problems. As the procedures do not require face-to-face consultations, it is possible for treatment to be completed in the course of a telephone call from anywhere in the world. TFT-VT practitioners are also approved to train others in the practice of TFT Causal Diagnosis.